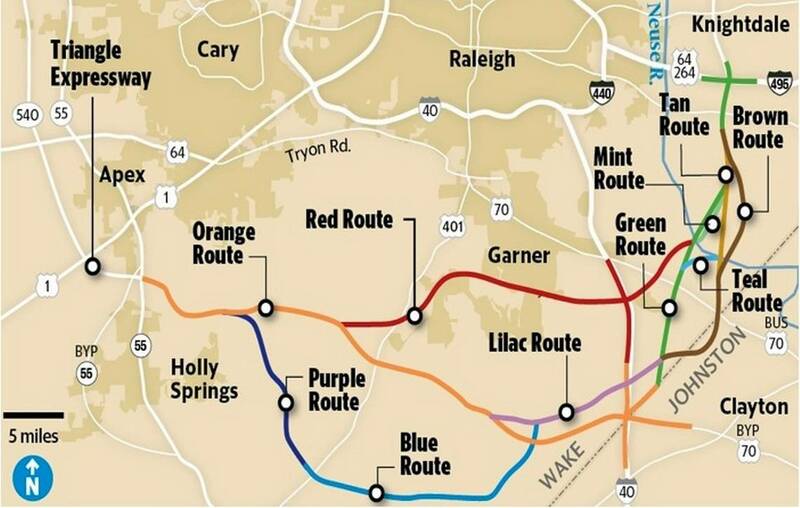 Since 1997 the NCDOT filed a protected corridor on property owners in Wake County for the future connection of the 540 Southern Loop in Raleigh. These property owners in Wake County should receive the same benefits that were hard won by the property owners in Winston-Salem / Forsyth County’s Northern Beltway in the Kirby v. NCDOT Supreme Court and Court of Appeals Victories. In the Kirby case, the appellate courts ruled that by filing the Map Act Corridors on property owners in Forsyth County, the NCDOT inversely condemned the properties. The NCDOT took the same actions in Forsyth as they did in Wake County… and Cumberland County… and Cleveland County… and Pender County. The trial judges in Cumberland, Wake & Forsyth have told the NCDOT to proceed with FILED CASES by property owners. The NCDOT has been ordered to plat, appraise, and deposit funds in these inverse condemnation matters. Hendrick Bryant Nerhood Sanders & Otis LLP law firm and their property owners won these cases are going forward in the eminent domain cases. Call 336-723-7200 to discuss your North Carolina Eminent Domain cases.